The Asia-Pacific region (APAC) continues to present opportunity for explosive growth for business. According to the International Monetary Fund, APAC accounted for less than 30 percent of world output in 2000, yet by 2014 this contribution had risen to almost 40 percent, and the region accounted for nearly two-thirds of global growth in 2014. 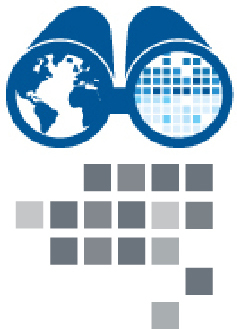 Naturally, with favorable growth and opportunity come challenge and change, particularly given the widely divergent and evolving legal and political systems across the region. 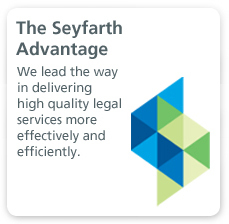 Seyfarth Shaw frequently assists its clients who are operating or expanding into APAC to navigate such challenge and change, so that they can be confident that their commercial needs are aligned across these complex foreign laws. Our APAC team—which operates out of key hubs in the U.S., China, Hong Kong and Australia—has deep experience and expertise handling both country-specific and regional projects for leading multinationals. Our team is comprised of highly experienced practitioners focused on two distinct practices: a specialist international employment law team and an international corporate and commercial team. Our specialist employment law team has changed the way that many of the world’s largest companies manage their global employment issues by providing a single point of contact with the expertise and experience to manage their global needs. The team has its roots in APAC and is deeply experienced in the employment and labor issues that employers face in the region. The team has completed more than 400 multi-jurisdictional, strategic compliance projects in the Asia-Pacific region, including in relation to transactional and post-transactional activities, restructuring activities, hiring projects and many others. 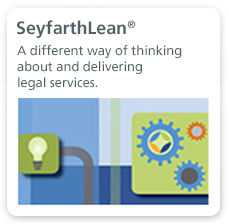 We believe no other firm has this level of expertise. Our experienced team of corporate and commercial lawyers are dedicated to serving companies’ needs in Asia Pacific not only at a local level, but also from a regional and multi-jurisdictional perspective. Our transactional work across APAC has included mergers, acquisitions and JVs/strategic alliances, private equity transactions, corporate restructurings, distribution, IP licensing and sourcing transactions, corporate governance and commercial contracts work. 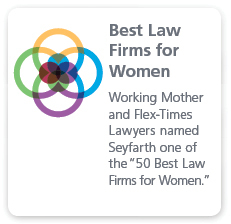 Seyfarth earns Top 10 ranking in BTI Power Elite for superior client relations;hips.